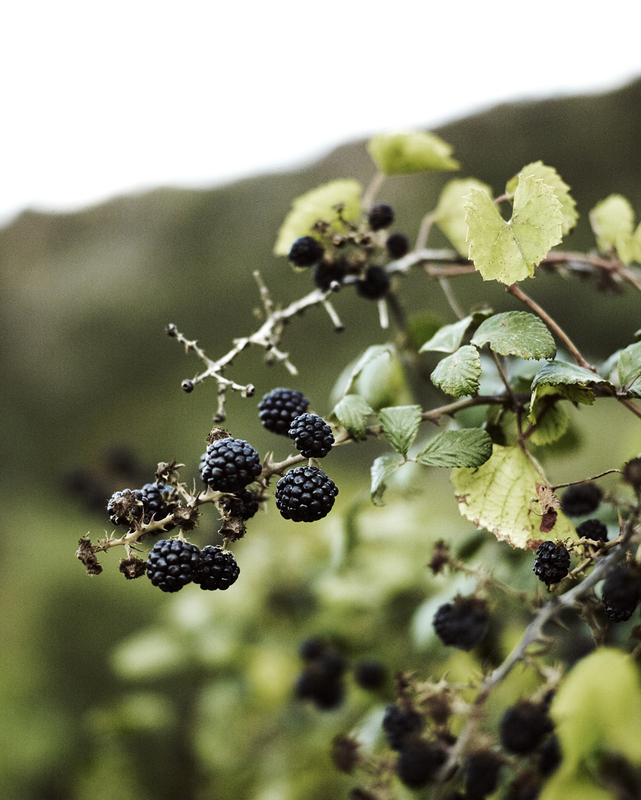 The season for blackberries in Pantelleria is long. It begins in early July and ends in early September. The berries ripen, dry up and are then scorched by August’s heat. As soon as the weather begins to cool a bit, after the middle of August, the bushes bloom again and in come new berries. During my morning walks in Ghirlanda I pick them and eat them as a breakfast on the go. Sometimes I bring a basket to fill because Igor, the dog who usually refuses both fruits and vegetables, ADORES blackberries. He munches them up in seconds wagging his tail the whole time. Then he looks up at me as if to say, “Thanks! Can I have some more?” and his mustache is all purple. Watching him so happy fills my heart. I just love this guy! Once in a while I make a cobbler that’s not too bad either. 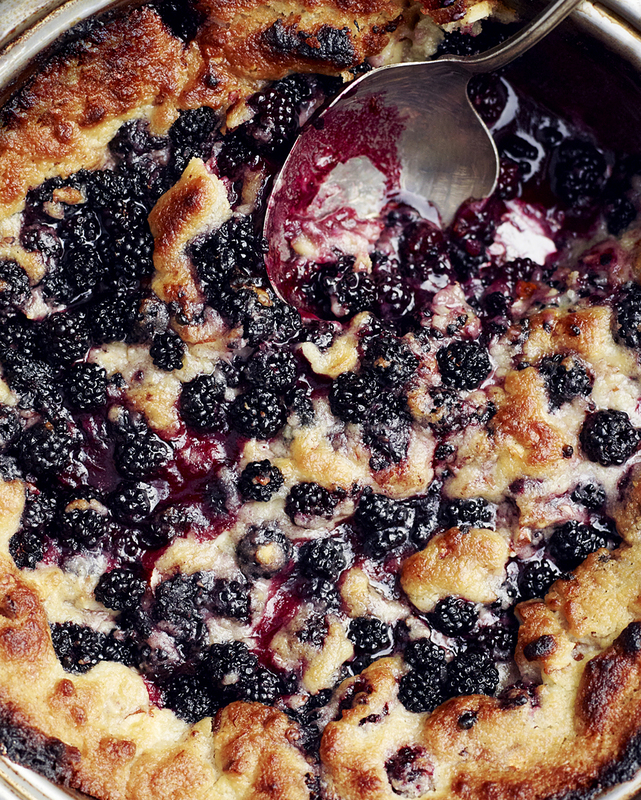 Served with vanilla ice cream, it is basically heaven on a plate. The recipe fits a baking pan of 9.5 in (24 cm) in diameter. Grease the baking pan with butter. Mix all the ingredients for the dough using your hands. Bake at 400 degrees F (200C) for about 15 minutes. This entry was posted in Baked Goods Recipes, Dessert Recipes and tagged almonds, Anna Huerta, blacberries, blackberry, blackberry cobbler, dessert, dolce, Ghirlanda, harvest, http://www.annahuerta.com/, Igor, Pantelleria, September, Sicily, summer, Under the Almond Tree on September 23, 2013 by Anna Huerta.